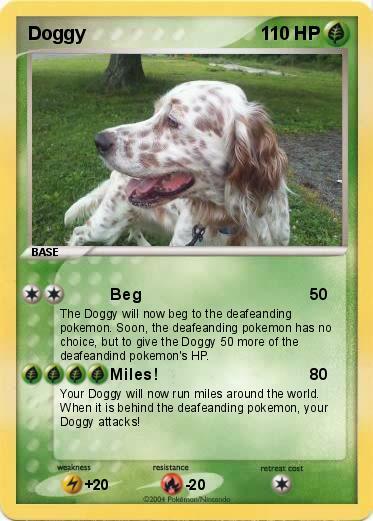 The Doggy will now beg to the deafeanding pokemon. Soon, the deafeanding pokemon has no choice, but to give the Doggy 50 more of the deafeandind pokemon's HP. Your Doggy will now run miles around the world. When it is behind the deafeanding pokemon, your Doggy attacks!